/EIN News/ -- NEW YORK, Dec. 06, 2018 (GLOBE NEWSWIRE) -- via NetworkWire – Kontrol Energy Corp. (CSE: KNR) (FSE: 1K8), a leader in the energy efficiency sector through IoT, Cloud and SaaS technology providing market-based energy solutions to its customers, today announces that it has selected the corporate communications expertise of NetworkNewsWire ("NNW"). Kontrol specializes in the integration of smart energy technologies and solutions for North American commercial and industrial property owners and operators, helping them benefit from energy cost savings while minimizing greenhouse gas emissions. The company is ranked by Canadian Business and Maclean’s as the 7th fastest growing startup in 2018. 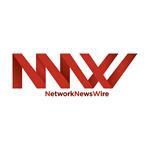 NetworkNewsWire is a multifaceted financial news and publishing company that delivers a new generation of social communication solutions, news aggregation and syndication, and enhanced news release services. NNW’s strategies help public and private organizations find their voice and build market visibility. As part of the Client-Partner relationship with Kontrol, NNW will leverage its investor-based distribution network of over 5,000 key syndication outlets, various newsletters, social media channels, blogs, and other outreach tools to generate greater brand awareness for the company. Kontrol Energy Corp. (CSE: KNR, FSE: 1K8) is a leader in the energy efficiency sector through IOT, Cloud and SaaS technology. With a disciplined mergers and acquisition strategy, combined with organic growth, Kontrol Energy Corp. provides market-based energy solutions to its customers designed to reduce their overall cost of energy while providing a corresponding reduction in Greenhouse Gas (GHG) emissions. For more information, please visit: Kontrol Energy Corp.
For more information, please visit: https://www.NetworkNewsWire.com.